There are metered parking spots available or two parking garages; Chambers Street and Hulfish Street. 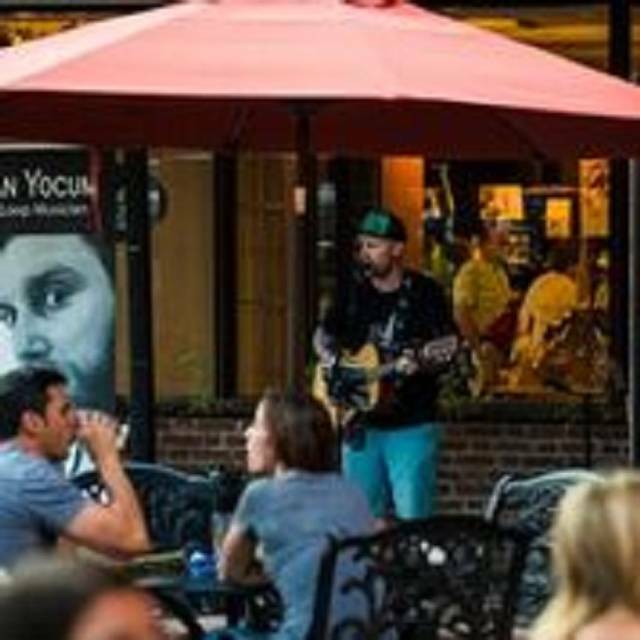 Enjoy live music on our patio select nights throughout the summer. If it's not a music night there is always something happening in the Yankee Doodle Tap Room check our event calendar for up to date details on craft beer tastings and other special events. Whether you are conducting a business meeting or planning your wedding, our catering packages are sure to please. Our experienced sales team will help you plan the perfect event down to the last detail. If you don't see something you like, let us know! We can customize any package. 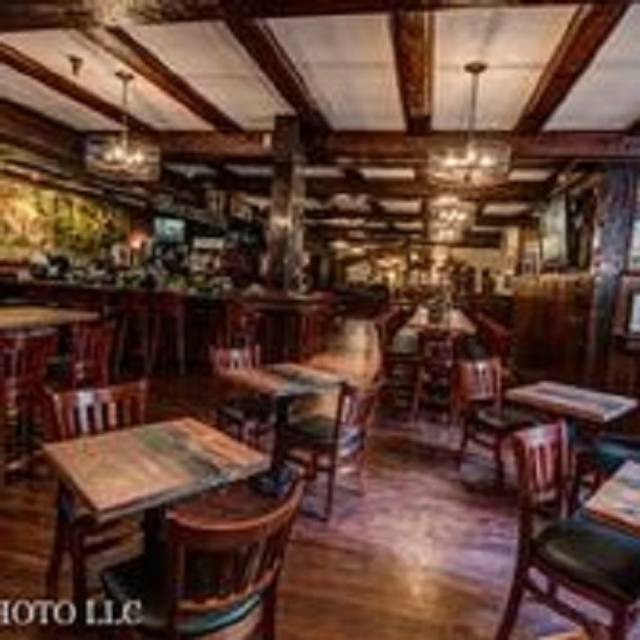 The Yankee Doodle Tap Room is located inside the Historic Nassau Inn Hotel. The hotel offers 13 private banquet rooms and 10,000 square feet of meeting space. All spaces feature natural light and most have built in AV equipment. To book your private events for 2-200 people please call the sales department 609-921-7500. *All reservations are for inside dining only. 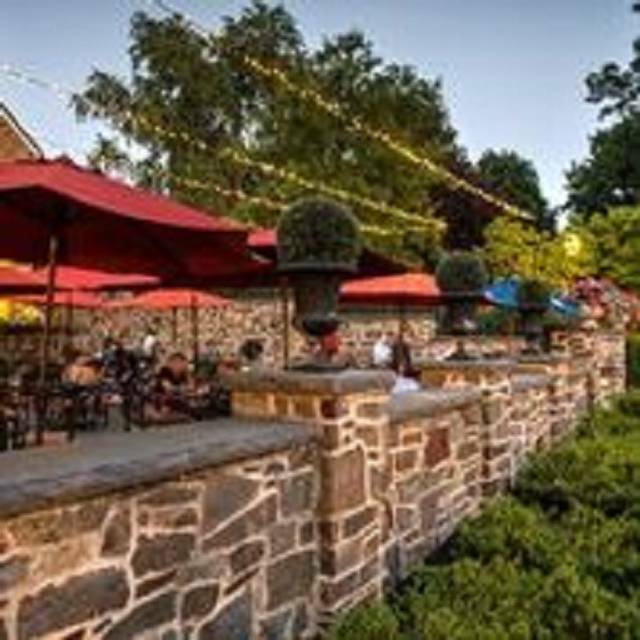 The legendary Yankee Doodle Tap Room has a long standing tradition as Princeton's destination for gastropub dining. 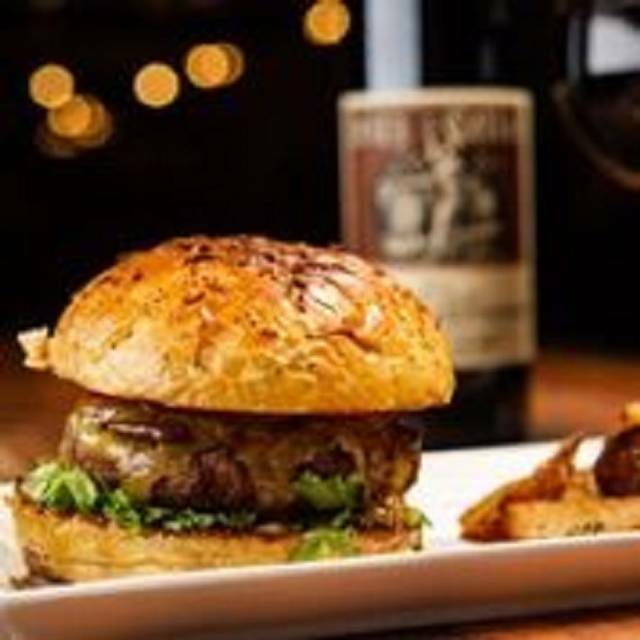 Featuring an American grill menu and recognized as the central meeting place, there are over 19 world beers on tap and a variety of wines and specialty drinks. 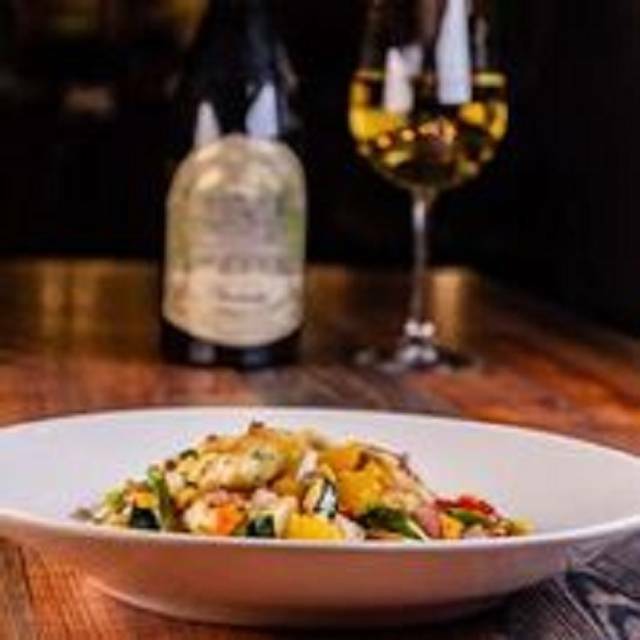 Seasonal seating is available in front of a cozy fire place or alfresco style on our patio in the heart of Palmer Square. Six large HDTVs broadcast sporting events year round. 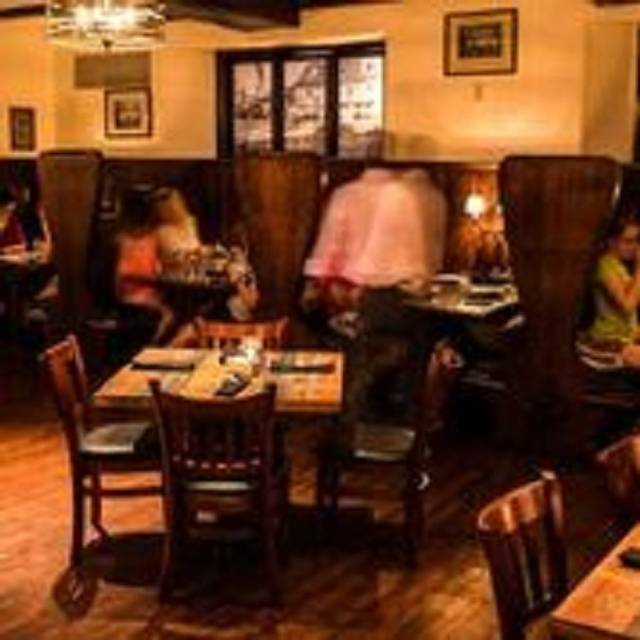 Named after the mural painted by Norman Rockwell, which resides behind bar, the Yankee Doodle Tap Room's historic charm includes the carvings of past guests in the solid oak tabletops, and the famous photo gallery of notable Princeton University graduates from the past century. There's always something happening from beer tastings to live music please check our website for the most up to date event announcements! The Yankee Doodle Tap Room will have a special a la carte brunch menu from 11am-3pm. The Yankee Doodle Tap room will be serving an Easter buffet! Seatings at 11am, 1pm, and 3pm. I had been told that the Breakfast menu was available until 4 PM, but when we got there, it was the Brunch menu that was available until 4. Nevertheless, we all found something we liked, the children's menu was perfect for my grandchildren. The service started off very good, but the waiter eventually forgot an order of fruit and bacon. They were taken off the bill. Everyone enjoyed the ambiance and would like to come back again. If you can find it (it's in the basement of Nassau Inn: we did not see any signage outside), it's worth a visit, but only a visit, not to stay and eat. The wall of photos of famous alumni is worth a perusal. I would not, however, recommend eating there, especially on a nice day. It is a dark and somewhat dingy, and the service is terrible. It's a place to feel the "old" (in every sense of the word) and stuffy Princeton. Took my daughter for a special lunch before taking the campus tour at Princeton University. We both loved their burger. The wall of famous Princeton alumni was a great warmup for the tour. We had plenty of time to stroll around afterwards, but the walk to Whig Hall for the tour would have just been less than 10 minutes. The wait staff on this visit were young and experienced, but made up for it with friendliness. Great service. Nice pub atmosphere. Prime rib was extremely tough. They were very accommodating and offered replacement. A perfectly dreadful experience. Must have been the waiter's first day, so incompetent was his performance; the supervisor was even more clueless. 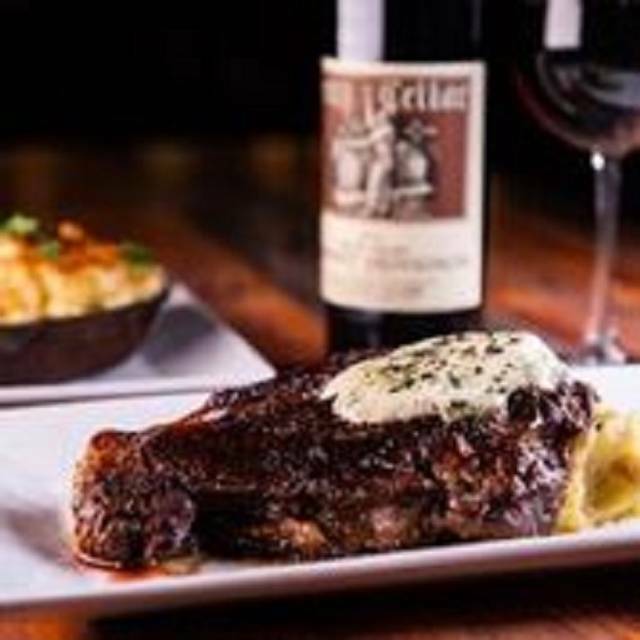 It took us two full hours for a simple meal, and getting the bill (and then getting the credit card back) was an epic struggle -- the staff simply could not be bothered. The salmon was seriously overcooked; the pot pie had only potatoes; the prime rib was OK. The desert for the fixed-price menu was not available when the time came. Horrible food. Horrible service. Save your money! There’s so many better places in Princeton. As on earlier occasions, a very nice dining experience in the Yankee Doodle Tap Room. I do recommend this venue to all who are looking for a great pub meal experience in a fantastic venue in the heart of historical Princeton. For the history buffs, the Nassau in the name of the overarching Nassau Inn is a sympathetic reminder of the Dutch colonists settling in the area in days long gone. Fortunately, the great food in the Tap Room has no relation with 17th century Dutch cuisine. nice comfortable space, friendly service and good food. We had the best service and table ever! We will be back for sure! Great place! So much history and sitting at Einstein’s booth was incredible! They blew it! I had indicated in my reservation that we were celebrating my mother's 90th birthday. Even though the host briefly glanced at the note on his screen, he didn't acknowledge her birthday, nor did the server. The server was fine but made two small errors and couldn't answer a question about the history of the Inn. The food was mediocre. For such a nice hotel, the Nassau Inn could try a little harder and step it up in the Yankee Doodle Tap Room (the only restaurant on premises). It is like the hotel isn't even trying to offer a nice experience to diners. We have fond memories of the Inn because my sister's wedding reception was held there. My mom still has nice memories of the place, but I don't think I will go back. Seemed to be understaffed for New Year's Eve dinner. We waited a long time for our drinks to arrive. One was made incorrectly and had to be sent back to the bar. The other was supposed to be a hot cider, but was barely warm, probably from sitting on the bar for a while. Nachos were good and plentiful. Thai salad was also plentiful, well made and with good flavors. The burger was very basic and ordinary. Good lunch in a nice pub setting. Cobwebs not worth the price. I ate there twice. Dinner, then breakfast. From 2 different tables, each chandelier I could see had numerous cobwebs. This used to be a first class experience, and is still quite expensive. The breakfast waiter was nice. The food was good. Great atmosphere, great food, very child friendly! Food was average. Service wasn't the best our waitress we only saw twice in the beginning and the end of our visit. My order wasn't out in correctly and when I told our waitress I never received the correct item. Nice place but honestly not even worth the time. Only down side was that we told our server we had a play to attend and asked that he move us along quickly. We waited a long time for our food and ended up rushing through the meal. We're not a fan of the high top tables because the stools aren't as comfortable as a chair. The staff accommodated us by switching our reservation from a high top table to a regular height table, and it was much more comfortable. I am writing because this visit was a disappointing. Starting with the restaurant manager delivering our soup to the wrong table, which threw off the server's timing. The menu was not vegetarian friendly to the point where we had to order an appetizer as an entrée. There was meat in almost everything, meaning even the salmon dish had chorizo in the risotto. The server did his best to make suggestions, but had to admit that even the fries are fried in the same oil as the wings. We usually go there after a concert but next year we will have to find a new place. It ruined what was a fun tradition for the holidays. Probably the best burger I've ever had! I had the Nassau with cheddar, no onion, no roll. It was well done to my specifications. I grew up in Princeton and have a sentimental attachment to the Nassau Inn and Yankee Doodle Tap Room. The Norman Rockwell mural is fantastic to see in person, the booths with names and initials carved into the tables are charming and private as you settle in. The wait staff was so sweet and friendly, and the vegetarian quinoa and black bean burger option was delicious. The food and ambience was ok. The problem was the service. I ordered two small items and asked for them twice. One was never delivered to the table and the other one (bread) came after we were almost done eating, too late. The waiter actually took my plate before I was done and without my permission. He just wisked it away before I could say anything. I enjoy leisurely meals but the service was sooo slow. I had reservations for my party and when we came in to give our name we were actually yelled at to “get out of the heavy traffic area”. I wanted to add Yankee Doodle Tap Room to the list of restaurants I eat at when I’m in Princeton but I won’t. The staff is just too rude. The staff needs better training. 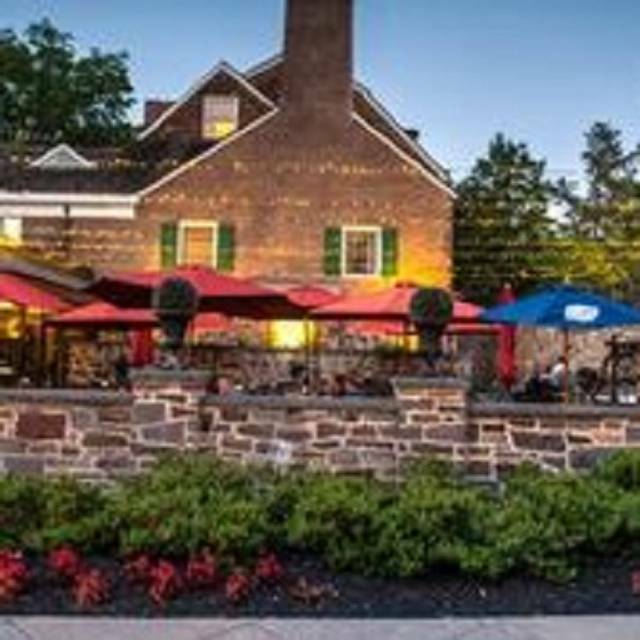 If your visiting Princeton, this restaurant offers a cozy, historical stop. However, The restaurant is under staffed and the food is mediocre. There were 4 of us. Two of us had the burgers which were very good , one had pasta which she enjoyed but the 4th has a steak which he said was not the best. Wouldn’t order again. 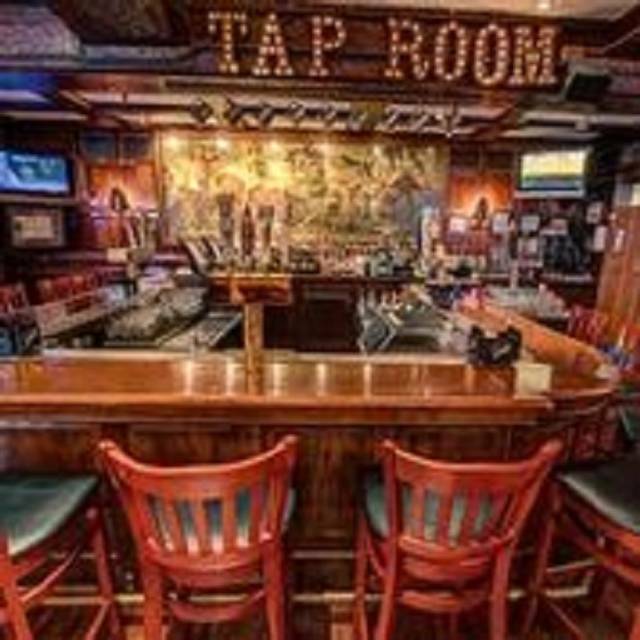 The "tap room" at Nassau Inn is a very cheerful pub filled with Princeton University memorabilia including photos of famous alumni, wooden booths with carving by students, etc. It does get loud because of the bar but very pleasant and cozy atmosphere. There was a nice fire in the fireplace which was especially welcome on a cold and rainy night. Calamari had way too many fried peppers in dish. We only wanted more calamari and no peppers. I’ve been there several times and I’ve concluded that if you stick with sandwiches, burgers and light fare you’ll be more satisfied versus main course dinners. My steak was seasoned with a strong dose of sage and it’s not grilled which is my preferred method. However excellent service and lively pub atmosphere make it a good gathering place. Will return and order the burger! Another fabulous meal with wine and appetizers. This will be our main place for the coming four years when we visit our son at college. I met at the restaurant yesterday (7 October) for a Sunday brunch with two friends. The food was excellent; all of us ordered different menu items and we all agreed that our choices were outstanding. What was bothersome was the service. We were initially waited on, our choices recorded and the food arrived. After that, we were pretty much ignored. I never did get that coffee refill and our water glasses remained empty until I walked over to the hostess desk and asked someone to bring water. Nevertheless, we did leave more than adequate tips; having been a waitserver in my youth (long, long ago in another galaxy), I know how hard the job is and I am not happy about these comments. We arrived at a quiet time: 1:00 pm. The waiter did not know the drinks menu or the food menu. He served the beers and wine, then took several tries for him to tell the bartender the correct name of the mixed drink featured on your menu. Also, one of the entrees (burger) was served 15 min after the vegetarian burger and the 3 chicken pot pies (which need more vegetables). I’ve been here many times before, during busier times, and seen much better service. We didn't have a chance to enjoy a dinner at the Yankee Doodle Tap Room as they did not honor our reservation. We arrived at 7:30pm, the time of our reservation. They told us that there would be an additional 1 hour wait. Apparently, they were unprepared for how busy both town and the hotel was that evening. Totally unacceptable considering the level of competition in Princeton. This is not a restaurant that is worth the wait, especially when we already had a reservation. Great little Tavern. Nostalgic. Impressive princeton flair. Small but quaint bar - ample room in general.